VIDEO: Supercopa: Real Madrid 1-1 Atletico Madrid | The Real Madrid Fan! 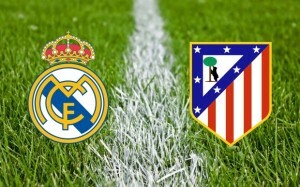 Real Madrid and Atletico Madrid played out a 1-1 draw in the first leg of the Spanish Super Cup at the Bernabeu. The second leg takes place on Friday at the Vicente Calderon where it is all to play for.